Welcome to the beautiful town of Lookout Mountain located in Chattanooga, Tennessee. This scenic little town is home to a variety of beautiful hiking trails, mountain ranges, and many other unique and exciting ways to experience nature. We at SMBYO.com suggest that you make your first stop in the area at Rock City. Rock City is an ancient rock formation boasting some of the most incredible views anywhere in the world. Rock City at its highest point allows guest to see an unbridled panoramic view of seven different states! Rock City also boasts multiple hiking trails, some of which lead to truly breathtakingly beautiful waterfalls. Rock City is a must visit location when you are in the area! Looking for something really impressive and unique while in the Lookout Mountain area? Check out spellbinding Ruby Falls. Ruby Falls is a mountain range with a cave under it that holds a one-hundred and forty-five-foot underground waterfall. Let that sink in for a second. An almost two-hundred-foot waterfall completely underground in a cave! What an astonishing feat of nature! 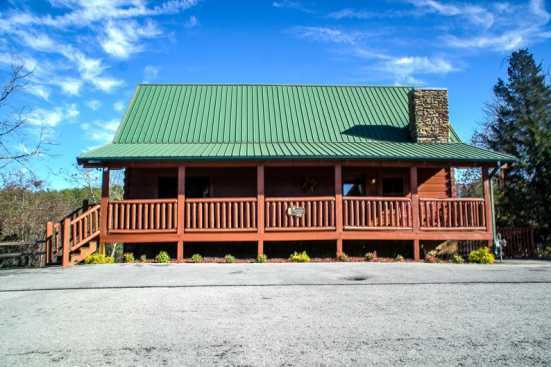 Smokymountainbyowners.com is the best and most efficient way to find, plan, and book your Tennessee vacation. From the astonishing panoramic seven state view from on top of rock mountain to the one-hundred and forty-five-foot underground waterfall at Ruby Falls, this is sure to be one of the most visually impressive vacation guests have ever been a part of! SMBYO.com aims to take the hassle and stress out of planning and booking your vacation rental poverty, so all you must do is decide if you want to check out Rock City or Ruby Falls first! Book Now, and come to see some of the most impressive feats of nature in the world!